Bill Gates remains far too optimistic that new technology will save us, especially when it comes to climate change. Don’t get me wrong, it’s good to see the Gates Foundation give big to climate change, a relative rarity for the world’s largest philanthropic institution. And the foundation’s new $300 million commitment takes on the important cause of assisting farmers in the face of climate change. But the initiative is mainly a continuation of the foundation’s long-running mission to use agricultural technology and markets to increase production in developing countries, an approach that has drawn fierce criticism. It also signals the Gateses’ frustrating reluctance to support mitigation efforts urgently necessary to curb the worst effects of climate change, outside of R&D. Bill Gates, as a personal investor, has taken a big interest in energy research, spearheading a $1 billion fund to invest in new technology. Now, the couple’s foundation has announced that it will move a large amount of philanthropic support for new seed and other agricultural technology intended to increase crop yields in Africa and Asia amid the impacts of climate change. Announced at the One Planet Summit in Paris, along with a $318 million match from the European Commission, and more expected from member states, the Gates Foundation envisions impoverished farmers using big data and robotics, and introducing new varieties of seeds that can withstand drought and heat. To be clear, the thing that’s frustrating about the Gateses’ approach to climate change to date is not that research and innovation are unnecessary, or that agriculture and adaptation measures aren't important in the context of climate change. But the original Green Revolution itself has a mixed report card at best, vastly increasing food production, while leaving behind a legacy of social and environmental harm and failing to address the poverty and underlying hunger. The Gates Foundation’s current focus on increasing food production with advanced technology, and connecting smallholder farmers to new markets and finance, have many concerned about similar negative impacts. The foundation’s harshest critics call the model a form of colonialism that will open up Africa’s land to plunder by agribusiness corporations at the expense of farmers’ sovereignty and long-term sustainability. A lot of the work the Gates Foundation funds in agricultural development is certainly beneficial, and when it comes to this particular grant, there’s nothing inherently wrong with improving farming techniques in poorer countries. But the way the foundation has tried to transform farming in these regions in the image of Western agribusiness is deeply troubling. I don’t share Gates’s optimism that expanding technology and global markets in poor countries will not result in exploitation by companies looking to dominate new regions. I’m also highly skeptical that the foundation’s approach is the only way to tackle hunger amid climate change in the first place. There’s an alternative movement championing a shift toward an agroecology framework emphasizing local sovereignty and traditional knowledge, biodiversity instead of monoculture crops, and sustainable methods for small farmers. All that is to say that whether the Gates Foundation is taking the right approach to improving agriculture in developing countries is a serious question. But another is whether this is the best way Gates can support global climate action. I continue to wonder why the world's largest philanthropic institution is not taking climate change mitigation more seriously. Granted, the foundation’s core focus is on global health and development, but as Gates himself points out, climate change will have devastating impacts on the health and well-being of those living in poverty. 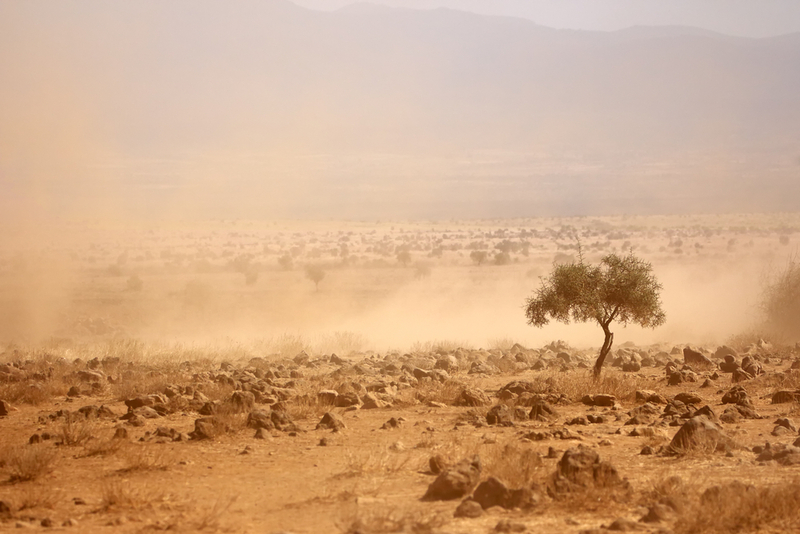 As climate change worsens, adaptation and relief efforts will only become more difficult. Maybe the Gateses believe that there's already enough philanthropic firepower focused on mitigation, so their foundation can take a pass. But based on our conversations with top leaders of environmental groups, there's plenty of need for more resources in this fight. And if you don't believe the grantseekers, ask the grantmakers: presidents of top climate funders, like the Hewlett Foundation's Larry Kramer, have urgently called for more funding in this space, pointing to an "existential threat" with a ticking clock. Meanwhile, nobody is sitting on more capital that's eventually destined for philanthropy than Bill and Melinda Gates. Their foundation has assets of $40 billion, while Forbes lists Bill's private net worth at $90 billion. Meanwhile, most of Warren Buffett's wealth—which now stands at $85 billion—is destined for the Gates Foundation. While we'll be the first to argue that top philanthropists need to stay focused, the Gateses have both the wealth and motive to join the near-term battle to mitigate climate change. While the Gateses are overly optimistic when it comes to technology, they seem uninterested in every other strategy that we urgently need in order to curb climate change—deployment of existing tech, policy and advocacy, organizing, efficiency, transportation, communications, etc. It is their money to spend, of course (aside from the huge tax subsidies the foundation’s $40 billion endowment enjoys), and it can be counterproductive to pit one form of climate action over another. There’s an ongoing debate, for example, as to whether we should be focusing on researching new energy technologies or deploying existing ones, when in reality, both are necessary and interconnected. The reality is, to combat climate change and its resulting suffering, we need a mix of aggressive activities, including emissions reductions, better land use, R&D, adaptation and global development. But the Gateses and their foundation seem quite narrowly focused when it comes to its efforts, overlooking necessary activities to reduce greenhouse gases. If a giant like Gates is going to roll out a $300 million commitment for climate action, is research on better seeds the best priority (even if helping farmers adapt is)? This wouldn’t be as much of a concern if it weren’t for the fact that the foundation is also extremely influential, often commanding the dialogue when it gets involved. Consider the matching funds coming from the European Commission and other countries. Who knows whether the EU would have otherwise prioritized seed technology to the tune of hundreds of millions as part of its climate agenda? But it’s hard to imagine that would be the case without Gates’s direction. The Gates Foundation funds programs that do a lot of good in the world. But by virtue of its sheer size, it also wields tremendous power in the global arena, and without much accountability to go along with it. On one hand, it’s tempting to simply celebrate that the Gates Foundation is directing hundreds of millions of dollars toward the greatest problem of our time—especially when we’re facing such a void in American leadership. But any influx of such money should also give us pause to consider whether the institution’s fixes are truly helping those impacted most by the problem, and whether its priorities are the right ones.